maisy ann: "this is between you, me, & the sprinkles"
I used to work at a TCBY in high school with my friend Claire. 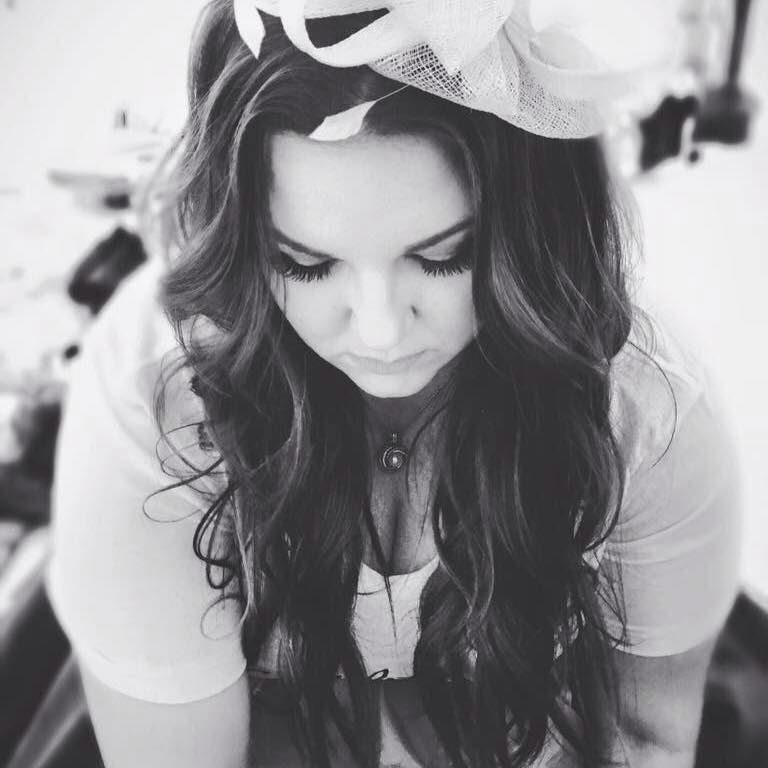 We used to joke that all of our secrets were between her, me & the sprinkles. Anyone who knows me knows that I have a love affair with rainbow sprinkles. I'm like Buddy the Elf, I would put them on just about anything. Because name a food that wouldn't be enhanced by rainbow sprinkles? That's right, you can't. At the request of a friend, we'll be doing #foodfridays on the blog from now on. I'll be sharing recipes and if all goes well, I'm actually going to make these recipes that I'm sharing with you and let you know how they actually taste. Funfetti flavored anything is a winner with me. My husband asked me what flavor cake I wanted for my birthday this year and when I told him funfetti, his response was "where can you buy that?" Well, the short answer is, not a lot of places. He ended up baking me a delicious funfetti cake for my birthday, but being that I'm currently super hormonal, my funfetti craving rages on. 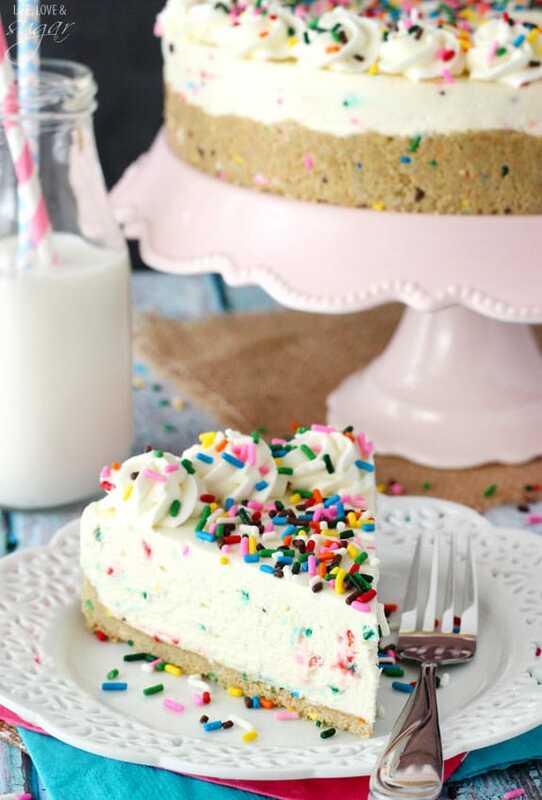 I found this recipe for no bake funfetti chesecake on Pinterest by Lindsay from lifeloveandsugar.com and I think I'm gonna give it a whirl this weekend before I really buckle down on the eating healthy lifestyle change next week. It's been kind of a rough week and I think I deserve some funfetti in my life. 1. Combine Oreo crumbs with melted butter and sprinkles. 2. Press crumbs into the bottom and halfway up the sides of a 9 inch springform pan. Set in refrigerator to firm. 3. Mix cream cheese, sugar, flour, vanilla, butter and almond extracts together in a large bowl until smooth and well combined. 8. 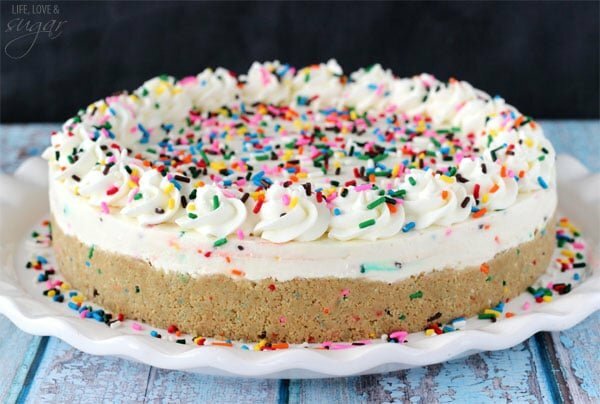 Remove cheesecake from springform pan and top with remaining whipped cream and additional sprinkles. Refrigerate until ready to serve.